Ga Cleaning Service.com has offered affordable, high-quality cleaning since 1995. We are dedicated to ensuring our customers have peace of mind knowing they are getting the best value for their money. We offer a professional, personalized service to each customer, striving for the highest degree of customer satisfaction. We appreciate customer feedback, and will resolve any problems immediately. 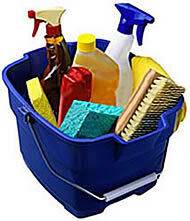 Ga Cleaning Service.com is licensed, bonded and insured. There are no contracts to sign. Our employees work in teams of 2-3 people, and bring all supplies with them. With a low turnover, we offer more consistency. With reasonable rates and free estimates, why wait, call today. And if you refer a friend, relative, neighbor or co-worker, we will give you $10 off your next cleaning.